Texas Holdem Poker is the most popular card game in the world. Holdem poker has increased in popularity thanks in part to the massive exposure enjoyed throughout the world via televised programs such as the World Series of Poker and the World Poker Tour. Some people mistake the spelling of the game and call it texas holden, when in fact the correct way to spell it is Texas Hold’em. "Chris Moneymaker - 2003 WSOP Champion"
With a $10,000 buy-in and millions of dollars going to the lucky winner, the World Series of Poker has steadily grown over the years from a small gathering of the best players in the world in 1970, to the ultimate poker prize. The winner of the WSOP is crowned the World Champion and in addition to this title they are adorned with the most coveted prize in poker, the Gold Bracelet. Over the years, texas holdem poker players have begun to measure their success not by the amount of money they have won, but rather by the number of Gold Bracelets in their trophy cabinets. Now the WSOP has grown to be biggest poker tournament series in the world. The World Champion is decided over a tournament of No Limit Texas Hold em Poker. 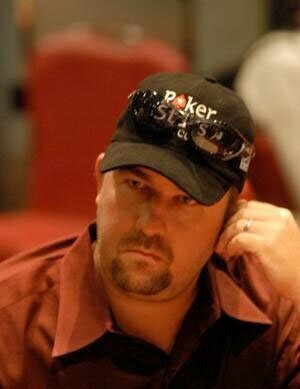 In 2003, the popularity of Texas Holdem Poker skyrocketed thanks in part to an unknown accountant from Atlanta, Chris Moneymaker. In August of 2003, Moneymaker came to Las Vegas to play in the most prestigious poker tournament in the world, the World Series of Poker (WSOP). Chris had honed his Texas hold’em skills by playing online poker, and remarkably his entry in the $10,000 buy-in WSOP Main event was his first foray into live play. Chris had won his entry to the $10,000 buy-in main event via a $39 satellite online at the online poker room PokerStars. 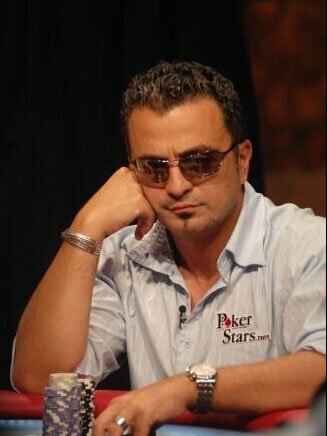 "Joe Hachem - 2005 WSOP Champion"
What happened next would change the history of the game forever. Chris soon found himself at the final table playing against one the worlds top professional texas holdem players of the time, Sam Farha. In an incredible twist of events, Moneymaker not only beat Farha, but he completely outplayed him as well. Once the victory aired on ESPN, every sports fan in the world was consumed by texas holdem fever and wanted to get in on the action. Millions of players began to sign up to online poker sites in an attempt to mimic Chris’s actions. The result of this massive boom in online poker is today known as the ‘Moneymaker effect’. You can play Free Texas Holdem Poker online at several sites and hone your skills just like Chris Moneymaker did in 2003. PokerNetwork recommends the site where it all started, PokerStars.com. Read the PokerStars review and get your free PokerStars Marketing Code. Not only are they the largest, most trusted online poker site in the world, but they are also home to one of Australia’s own texas holdem poker hero’s, Joe Hachem. In 2005, Joe Hachem became the first Australian to ever win the Main Event of the World Series of Poker. With a first prize of $7,500,000 Joe well and truly set the wheels in motion for the texas holdem poker boom down under. The Australians will always remember his victory because upon winning, the classic cry of AUSSIE, AUSSIE, AUSSIE rang out in the halls of Binions, much to the delight of the many Australian fans and supporters in attendance. PokerNetwork.com has compiled the best Texas Holdem Strategy guide for novice players that will ensure you become a winning player as quickly as possible. PokerNetwork recommends that you thoroughly study this guide before taking on the world at No Limit Texas Holdem.